If you enjoy smoking fine botanical products, including, but not limited to, tobacco, you owe it to yourself to check out the Pax by Ploom, a compact vaporizer with a spacious oven and a few features that make the experience of lighting up quite a treat. The guys at Ploom have been working on vaporizers for a while, introducing the Ploom ModelOne in 2010. This small e-cigarette used small pods to release fragrant smoke. 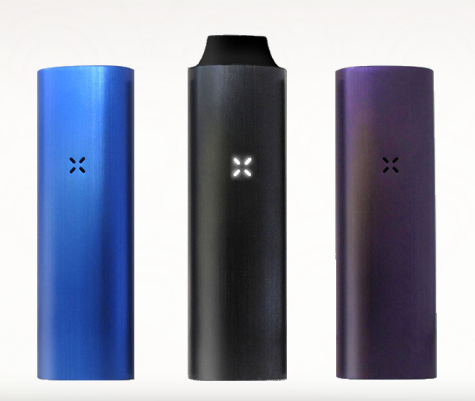 The Pax, however, uses electricity versus butane and can burn almost anything. I talked to James Monsees, CEO and Creative Director, about the new product and his vision for taking vaporizers – and their owners – to the next level. TC: Tell me about yourself. Who are you? James: Adam and I met in the graduate product design program at Stanford, the Joint Program in Design. The JPD has an amazing space in the middle of campus called the Design Loft where everyone effectively lives for a period of 2-3 years. So naturally, we spent a lot of time together and realized that we both had similar interests. Both of us have Physics undergraduate degrees and we both have a high level of interest in art as well. I had a bit of a background in industrial design and mechanical design, and Adam had been interested for a long time in electronics and high tech and had been doing IT infrastructure work in the Valley for a few years before we met. Interestingly enough, it was a completely unrelated conversation about smoking that steered us in a radically different direction than we would have assumed our careers were headed. TC: How long did this take? What was the process? James: Adam and I started Ploom as a Masters thesis, which was presented in the spring of 2005. Ploom was really just a concept at that point, but we had done some initial patent research, made initial early prototypes, and had received an incredible amount of interest from people that we interviewed and worked with, enough so that we felt like Ploom was really worth pursuing. So the next year, when I was a Fellow at the d.school on campus, Adam was living in a house with some friends on an old apple orchard at the edge of Palo Alto. We took over a room and continued prototyping, researching and further developing a cohesive business plan. that same building in SF. TC: Why did you guys develop a vaporizer? Why not an iPod case? Why not a mouse? James: I would argue that there are no other markets this size where so little consumer-visible technology has changed in multiple decades. Simply put, the tobacco space is a huge opportunity where we thought we could make a meaningful impact. There is obviously a large opportunity for the business to exist, but more importantly there is an incredible swell of consumer demand that really needs to be met. Though tobacco product offerings weren’t really changing, consumer tobacco product demands really have been, and our view was that traditional tobacco companies were not going to meet those needs on their own. Adam and I really enjoy tobacco but always felt conflicted about being smokers, or social smokers. We saw a personal need for a product of this kind to exist, and found that upon further research others voiced this need as well. TC: What was the hardest thing you came up against in designing the device? James: Our technological curiosity has no bounds. Taking technology and pushing it to new limits is exciting to us. The biggest obstacle is deciding where to best channel Ploom’s abilities in the complex tobacco market that best positions Ploom as a new, trustworthy brand in the tobacco space. We are really proud of PAX. There’s a lot more yet to come. TC: What was your design inspiration? James: The consumer. Other products in the vaporizer space seem to be designed as gizmos where people feel a sense of achievement when they figure out how to use them. Functionality doesn’t just mean that something turns on or heats up or produces vapor. Functionality means that components fit their human interface, that buttons are obvious in their functionality or just plain not there, that knobs and indicators are taken to the absolute level of simplicity and necessity, and all this is done while pushing the bounds of what is possible from an engineering perspective. That is what we have achieved with PAX. At the end of the day, we feel any product in this space should be a luxury good. We wanted PAX to exude elegance. There should be a pride in carrying PAX around and a visceral satisfaction in using it. TC: How hard is it to make hardware these days? What’s needed? James: Hardware is really tough in the Valley these days. Software seems to be truly in vogue, though my personal perspective is that while most software startups eschew dollars and cents for theoretical return, hardware will always have an intrinsic value to consumers and is hence satisfying to me in a way that software seldom is. Anyone who wants to work in hardware needs to be ready for a rough ride. There are capital requirements, substantial business planning, and heavy market analysis needs that require a wide breadth of knowledge and a willingness to work insanely long hours, especially at the earliest stages. TC: Have things changed in the hardware space recently? Are there new tools you’ve discovered? James: We make a lot of SLA (stereolithography) prototypes because we’re often dealing with high-temperature components. Years ago we discovered some cool new ceramic-based SLA resins that when properly cured and handled can help cut the development time for a serious prototype by a large margin. Getting things in people’s hands is always high priority for us so we maintain a small on-site machine shop where we regularly hack things out in the brainstorming stage, often as simple as foam core or cardboard. TC: Do you guys enjoy using the vaporizer, now and again, for recreational purposes? James: We love the ritual and elegance that smoking was once all about. I like to think we’ve moved beyond burning things and into an era where sophisticated enjoyment of tobacco has really arrived. Then again, we’re always looking forward to what’s next.